Beeboobuzz is an insta shop I stalked for months in the hope that they’d start selling organic basic tops for my youngest. I now have one in every colour and they were definitely worth the wait! 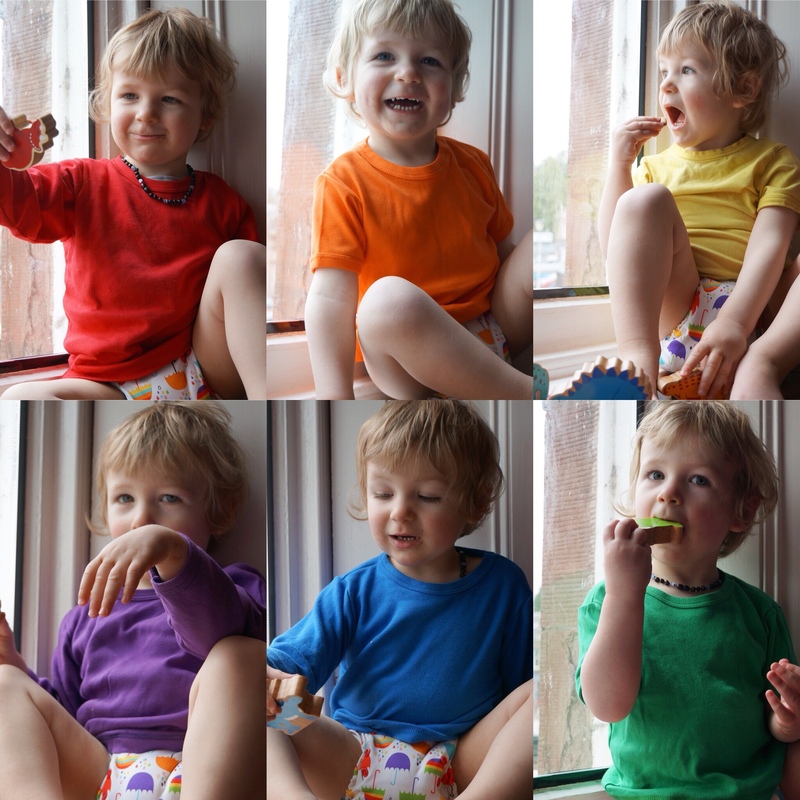 Beeboobuzz stock organic cotton clothing that is woven and dyed right here in the UK. All 3 of my boys have always been dressed brightly but coordinating plains to mix and match their outfits have always been hard to find. I prefer to buy organic too and this has been near impossible with some colours. For example orange is a beautiful colour and all 3 of mine really suit it but I’ve yet to find a plain orange top on the high street! Thanks to Beeboobuzz we now own a beautiful tee! Beeboobuzz or the lovely Louise spied a gap in the Scandi clothing market for organic basics and filled it beautifully with bright and bold baby vests. My insta feed was full of these gorgeous colours and I was most upset because Loki had already outgrown vests at 15 months old! Loki is now 2 and wearing 3-4 years clothes. Beeboobuzz launched solid long sleeve and short sleeve tops earlier this year and I ordered as soon as I had pennies available! The quality did not disappoint; they are lusciously soft and so bright and bold. They compliment his wardrobe brilliantly. I sized up as I have a knack of shrinking new clothes it would seem so I ordered 4-5 and they fit really well. They did indeed shrink a bit on the first wash but haven’t in any subsequent washes so he’ll get plenty of wear out of them! Beeboobuzz now stock baby hats and long and short sleeve tops. It’s a great addition to their original baby vest range. I will definitely be keeping a full range of rainbow tops in Loki’s wardrobe for the next couple of years and I’ll be going back to Beeboobuzz when these are outgrown! The new baby hats are adorable and they’ll be in every newborn bundle I assemble in future now too! I love babies, toddlers and kids in general dressed in bright colours and rainbow colours are gender neutral too so a fab excuse to buy one in every colour! Loki was one of a lucky chosen few to Brand Rep for Beeboobuzz and it’s easy to do. I love sharing brands I love on my feed and blog and I’ve been recommending Beeboobuzz to everyone I know! You can find Beeboobuzz here. They stock organic loveliness from newborn to 5 years and their delivery is also super quick. The code LOKI10 will get you a 10% discount so go have a nosey!